"I can see why a site like Re/Code might drop comments. 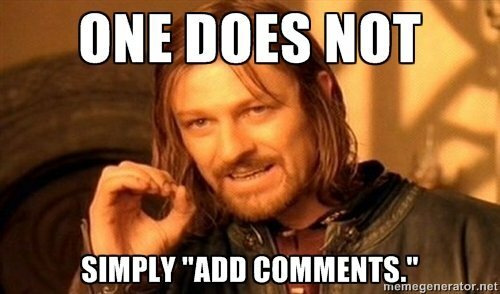 You can't just add comments and expect a community to emerge. And if one doesn't have the resources to cultivate a good commenting community, what usually emerges is a mosh pit of trolls (and people foolish enough to engage them). The equivalent of graffiti all over your site (not the good kind of graffiti). I agree that if they don't have the will and the resources to tend to comments, they're better off without them. On the other hand, I often feel it would be worth the investment for sites like that to build a positive commenting environment." Good comment from Kirsten Lambertsen in wake of Re/Code's decision to remove commenting. Lesson learned: building communities is hard but as Kirsten said, the investment can pay off. Do you have a formula that has worked in your community?